MagicISO is smart tool to burn bootable, data or multimedia discs, create and mount data files on virtual drives, create custom ISO images and burn data on CD, DVD or Blu-ray disc in minutes. A simple, powerful and lightweight application that is used to manage anytype of disc operation. Creating custom bootable or non-bootable discs, convert discs between various formats and extract files from pre-created image files. 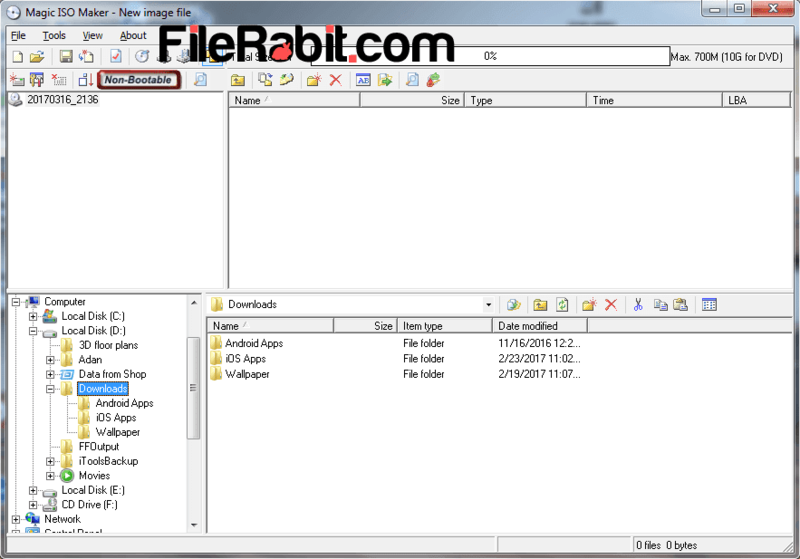 Magic ISO is one of useful and powerful tool used to handle multiple disc image volumes, burn images, calculate memory through dragging files & folders. Managing disc images with large size, mounting files and extraction of bootable discs are not an easy steps. Magic ISO gives simple and easy to use user interface that can makes it easier comparing to similar software. UltraISO and PowerISO are very professional apps but they will require higher price but Magic is less priced. However converting image files among other file types such as converting an BIN file into ISO will take less time than Nero Burning Rom. As we know that Nero is professional software but it will heat up computers with hanging and troubleshooting problems. A simple and useful tool all about mounting images, burn discs and convert disc images into several file types. 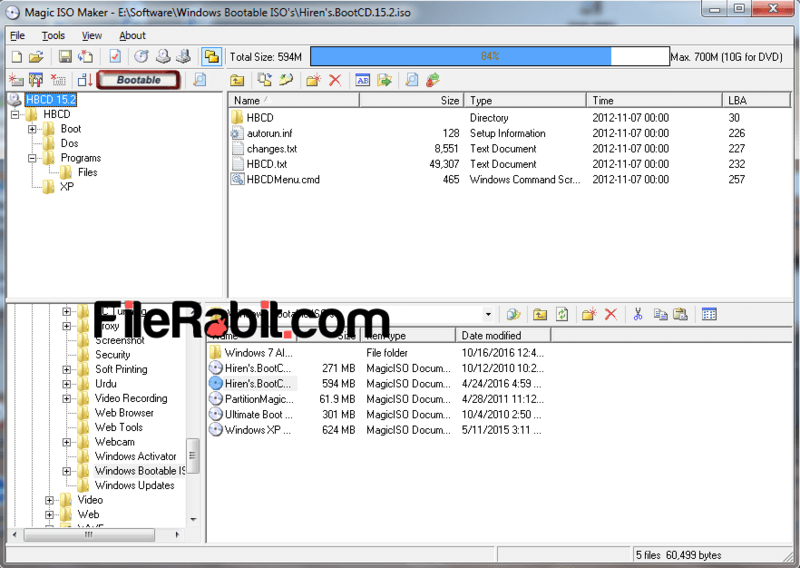 MagicISO will show bootable and non-bootable information for advanced users. Moreover, it can open, edit, create, burn or extract large sized CD/DVD image files in seconds. We mostly used UltraISO, WinISO or Nero Burning Rom as well that were very costly. An easy to use utility that will deliver fast response in burning, extracting, creating and converting DVD image files. MagicISO will be pushed into Windows Explorer so its easier to create bootable or non bootable discs, extract ISO/BIN files directly to USB flash drives, convert several CD/DVD image files into other file extensions. The interface is really simple and easy to operate where all menus and toolbars (with attractive icons) will makes it lovable. Take a full backup of hard disk drive data or create CD/DVD image file directly from CD/DVD Rom immediately.